Sometimes our vinyl liners have seen better days or just need a small repair. 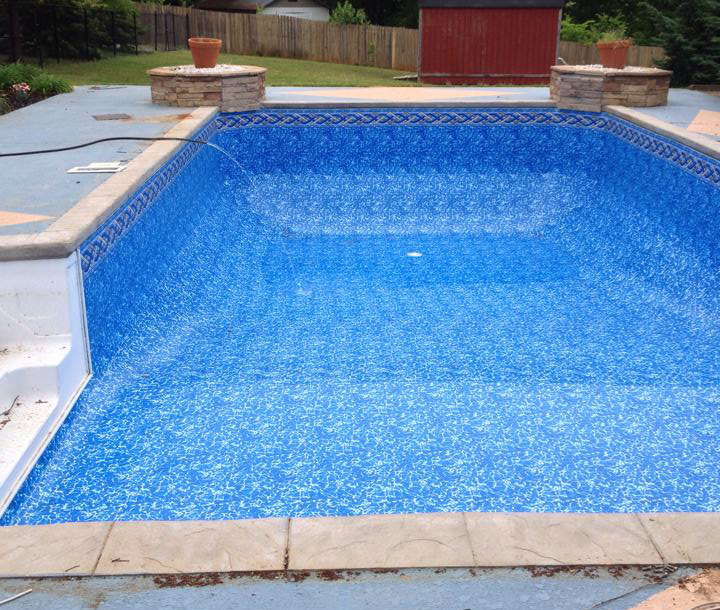 Green Acres Pool Place specializes in inground liner replacement to make your existing vinyl liner pool look brand new. As Cartersville’s premier liner replacement company, we guarantee top quality work at a competitive price. Your pool’s vinyl liner will deteriorate over time, which will cause it to crack, stretch, wrinkle and tear. 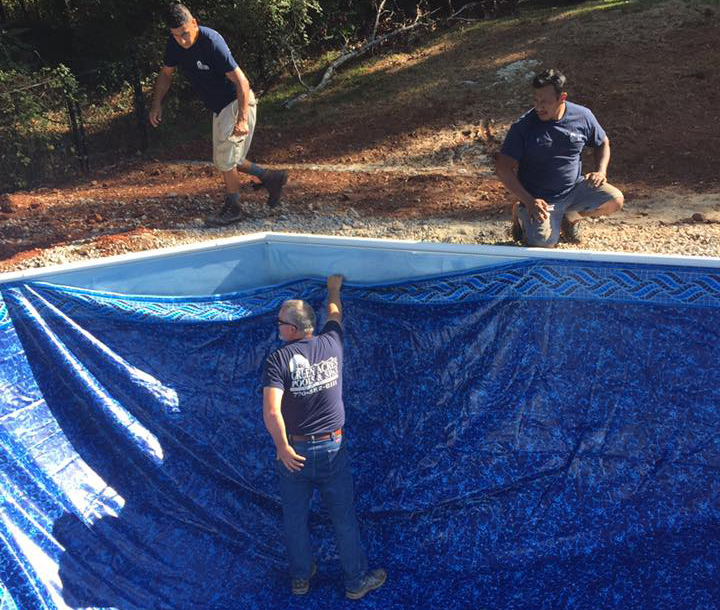 When this occurs, it is critical to contact a Cartersville pool technician so that the liner can be examined and, depending on the quality of liner, patched or replaced. Otherwise your vinyl liner may leak and cause costly damage to the foundation of your pool. Vinyl liners will also fade and become stained over time as it is exposed to UV rays and pool chemicals. 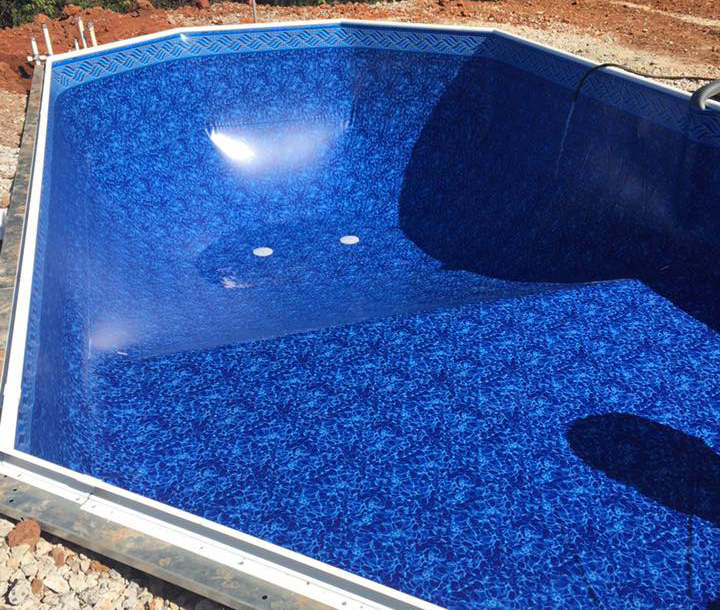 Replacing your vinyl liner will not only protect the durability of your pool, but it will also refresh its appearance. 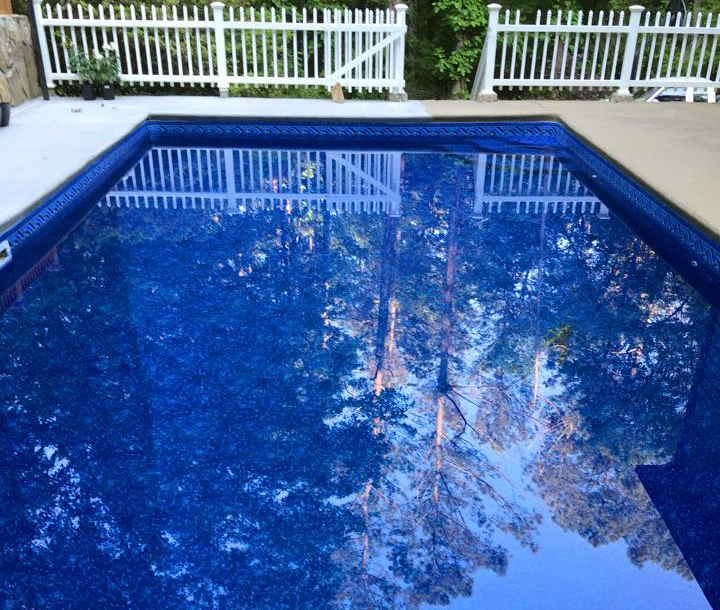 We have a number of patterns available that are sure to bring a fresh new look to your vinyl liner pool. 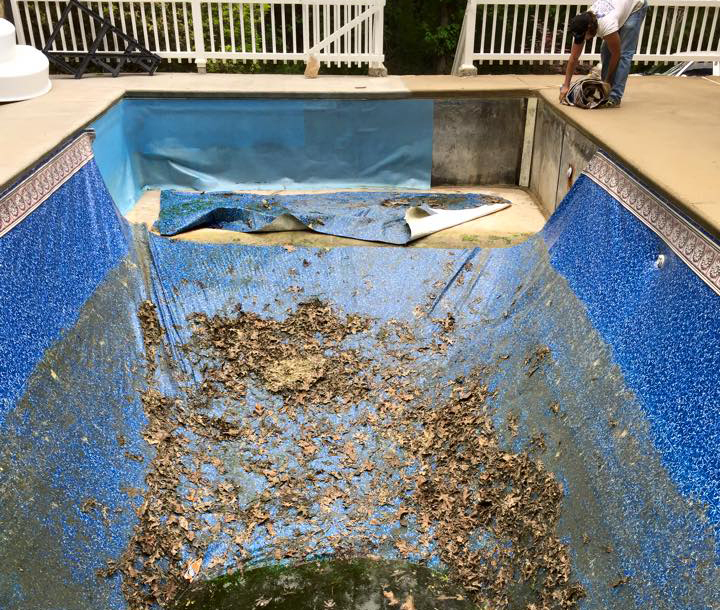 Think your pool vinyl liner may need a repair or replacement? 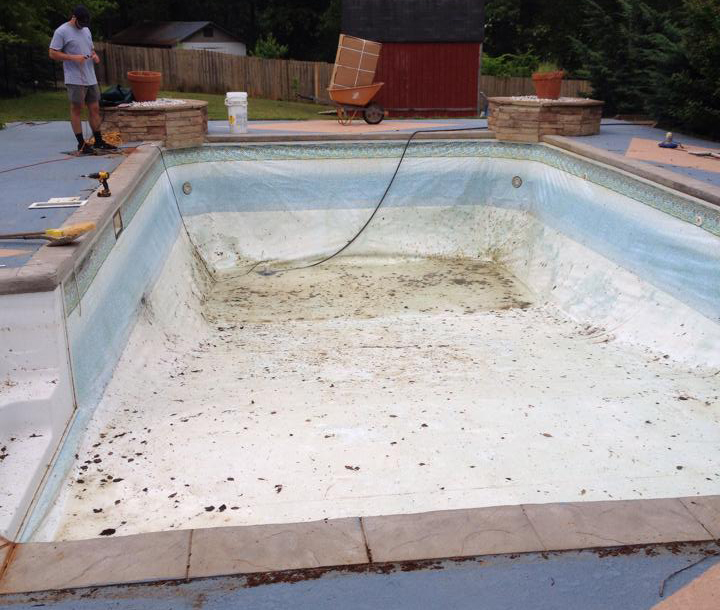 Call Green Acres Pool Place today to explore your pool vinyl liner repair options!